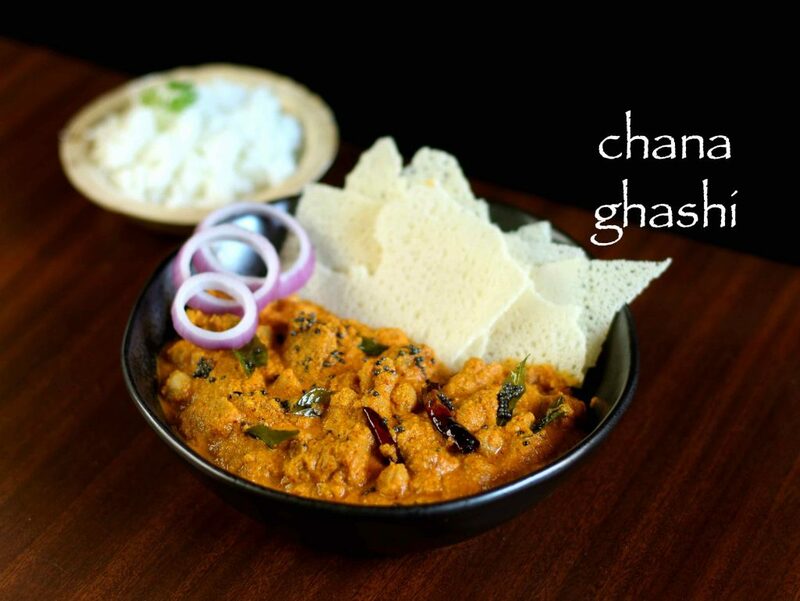 gassi recipe | mangalorean chana gassi recipe | veg ghashi recipe with detailed photo and video recipe. 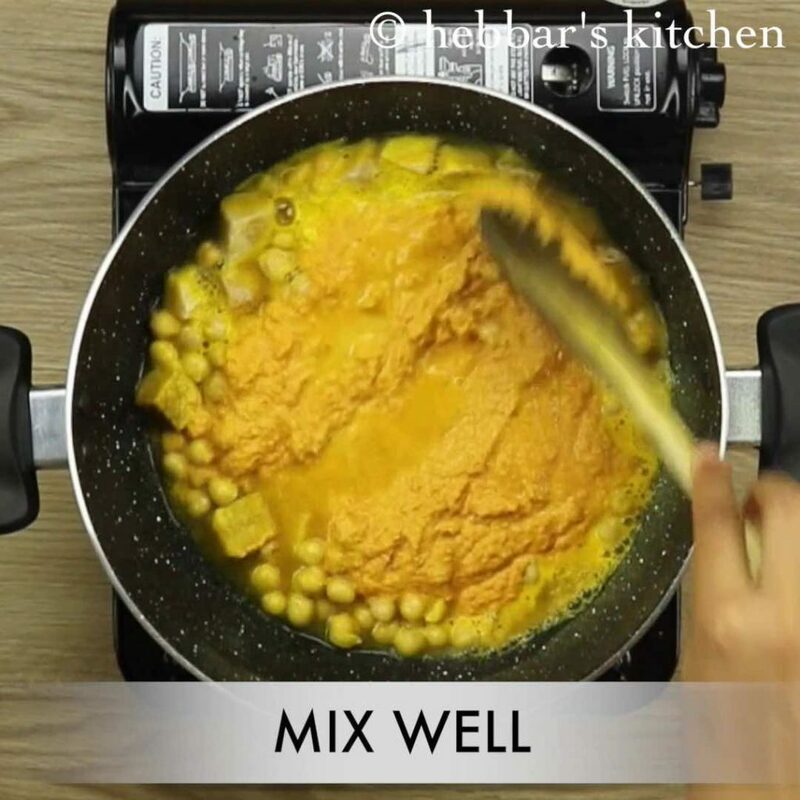 a flavourful coconut based thick curry recipe prepared with channa (chickpea) and yam (suran). it is one of the famous mangalorean recipes and it is typically eaten with rice roti or kori rotti or even with neer dosa. 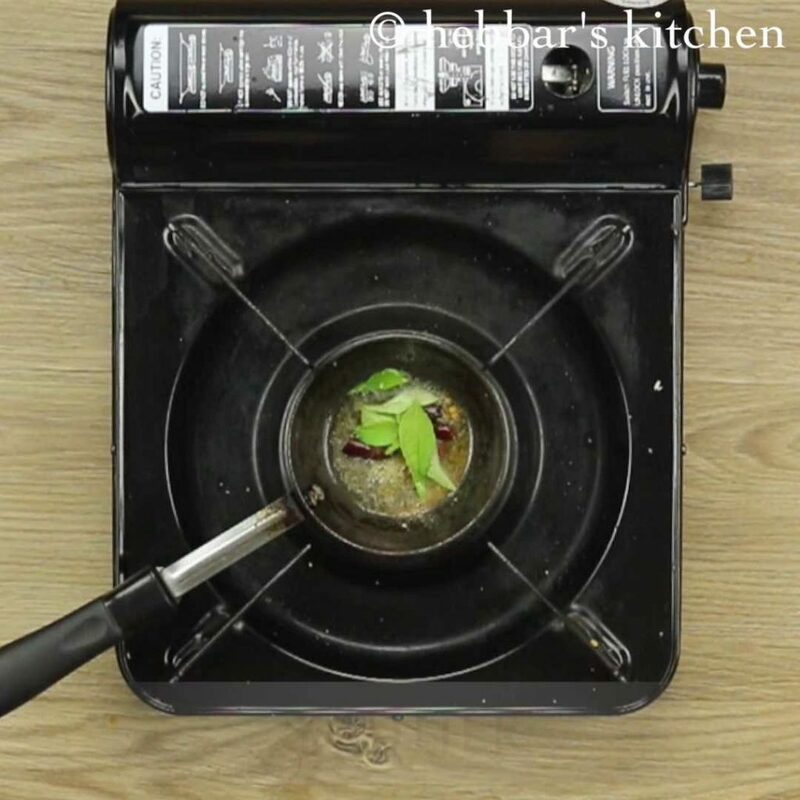 gassi recipe | mangalorean chana gassi recipe | veg ghashi recipe with step by step photo and video recipe. 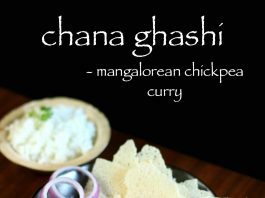 chana gassi is popular mangalorean gsb konkani community recipes which is also known as channa sukka. this famous coconut based curry is a counterpart to famous kori gassi or mangalorean chicken curry which is served with rice rotti. 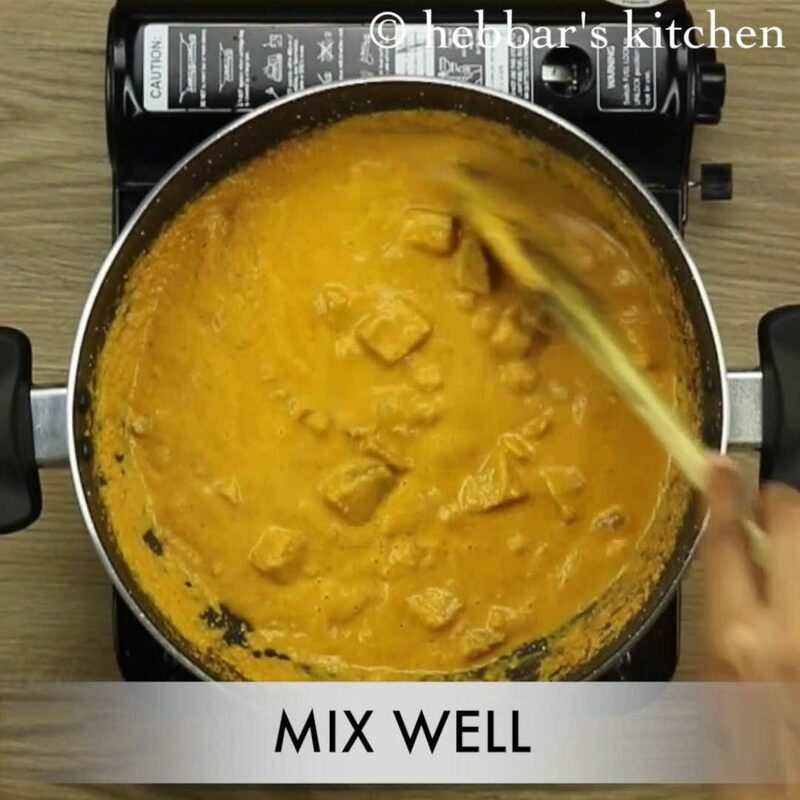 to be honest i am not huge fan of this recipe, however my husband just loves this curry. whenever we travel to india, he makes sure to buy the famous south canara ‘akki rotti’ or rice roti which is a perfect combination for this curry. perhaps, he got the taste for this curry from his konkani community freinds and he ask’s me to prepare this frequently. i prepare this curry with variation of vegetables like green peas, potato and even beans. but the authentic chana gasssi contains kabuli channa and elephant yam (suran). furthermore, some important tips and suggestions for a yummy gassi recipe. firstly, i would heavily recommend to roast all the spices before grounding them with coconut. 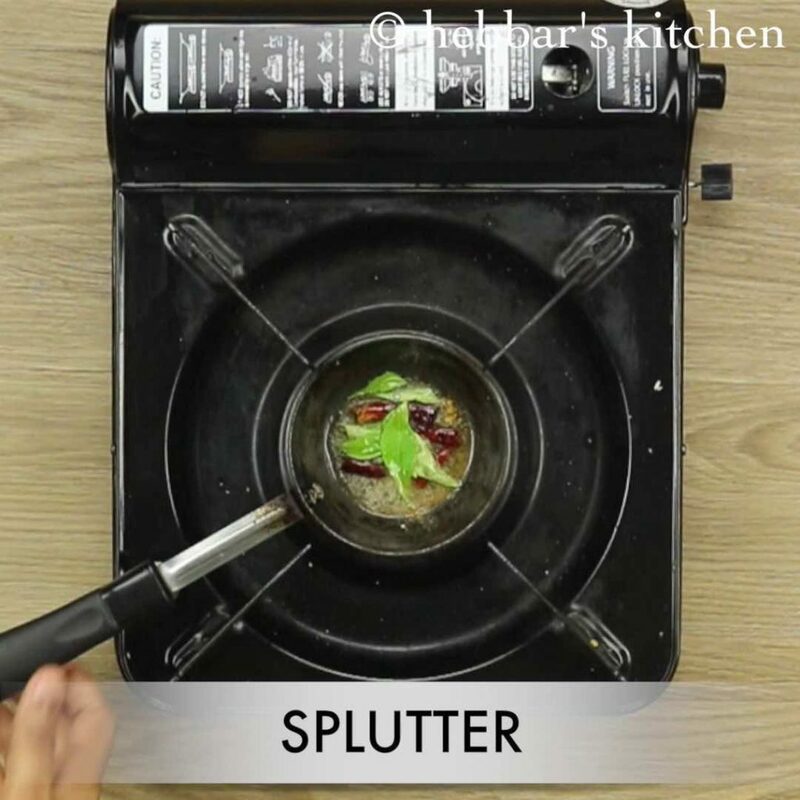 this would enhance the flavour of spices and eliminates the raw smell. secondly, the coconut curry should be be thick and not watery. 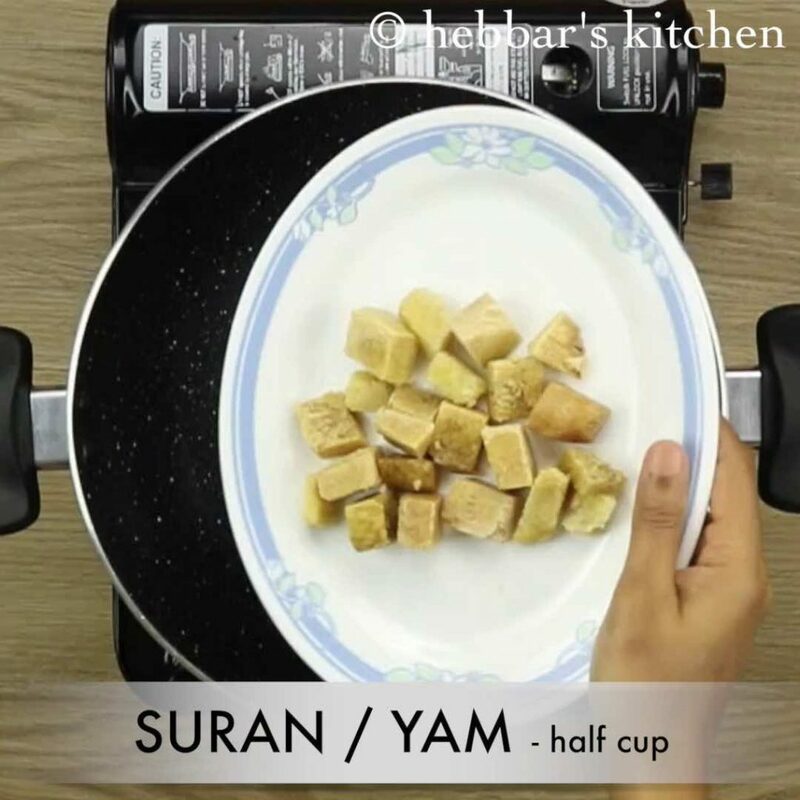 lastly, if you need more coconut flavour, you are more than welcome to add ½ cup of coconut milk. 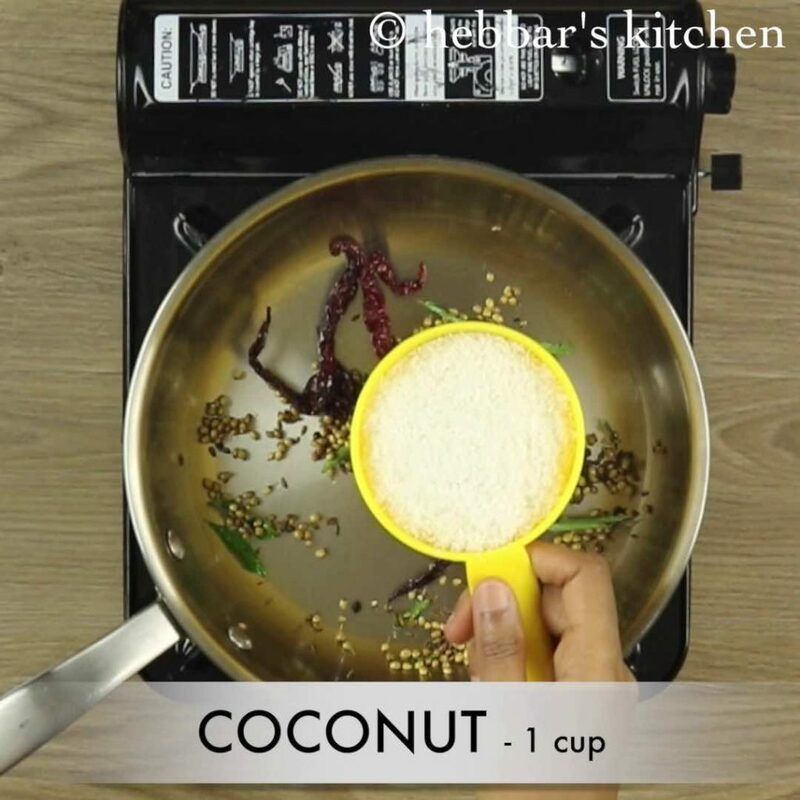 coconut milk is a must in kori gassi recipe and you can extend this to chana gassi recipe too. 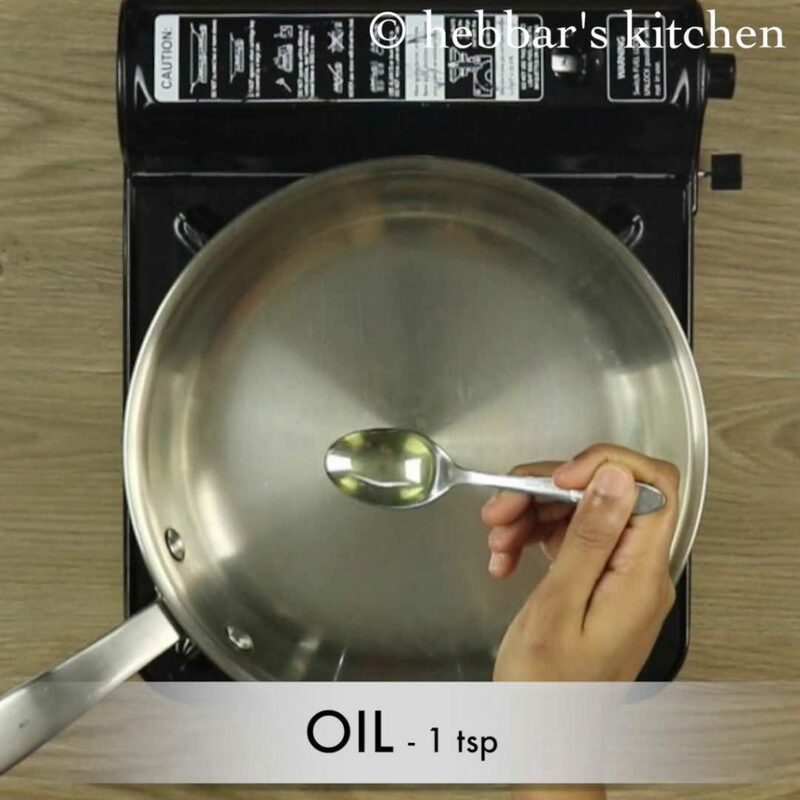 firstly, in a thick bottomed pan, heat a tsp of oil. 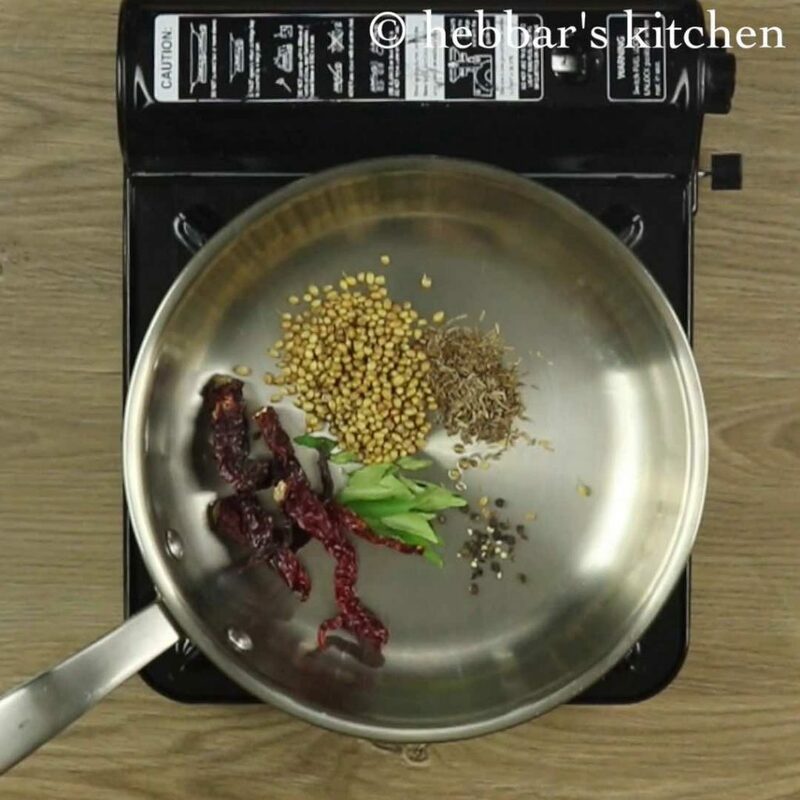 roast coriander seeds, cumin, methi seeds, black pepper, curry leaves and red chili. also add 1 cup of coconut and continue to roast for a minute. keep aside. 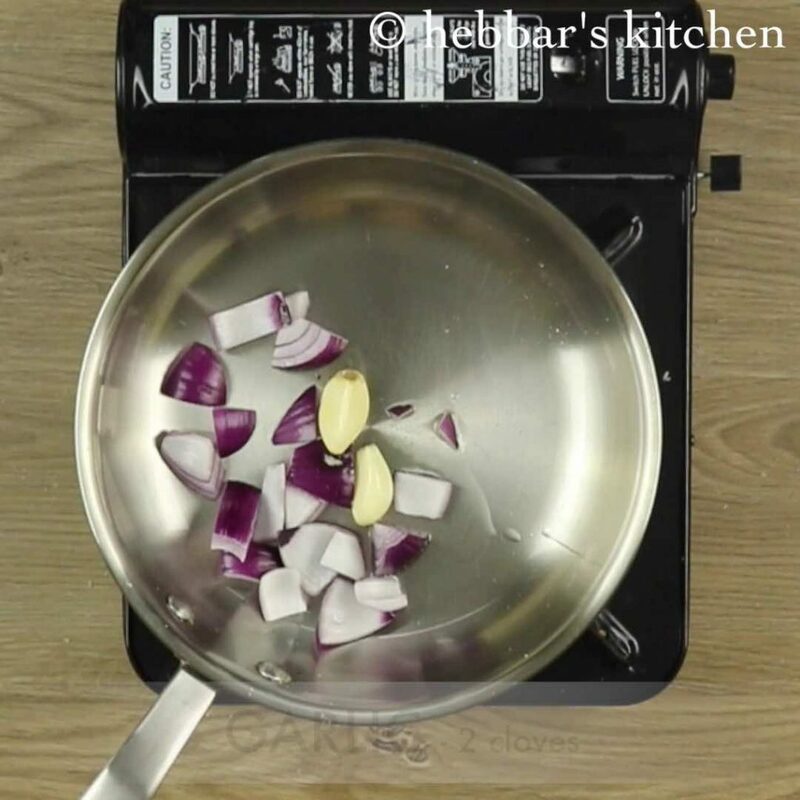 further, add a tsp of oil along with onions and garlic. 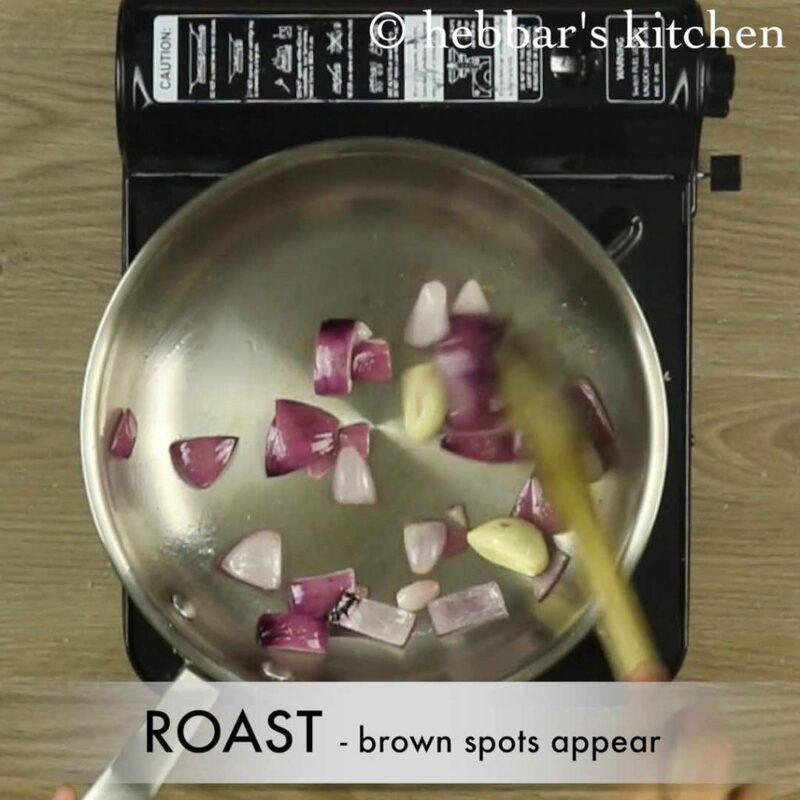 saute till brown spots appear on them. transfer to the same blender and add tamarind and water as required. furthermore, in a kadai boil suran for 5 minutes with water, salt and turmeric. add pressure cooked chickpea, and prepared masala paste. 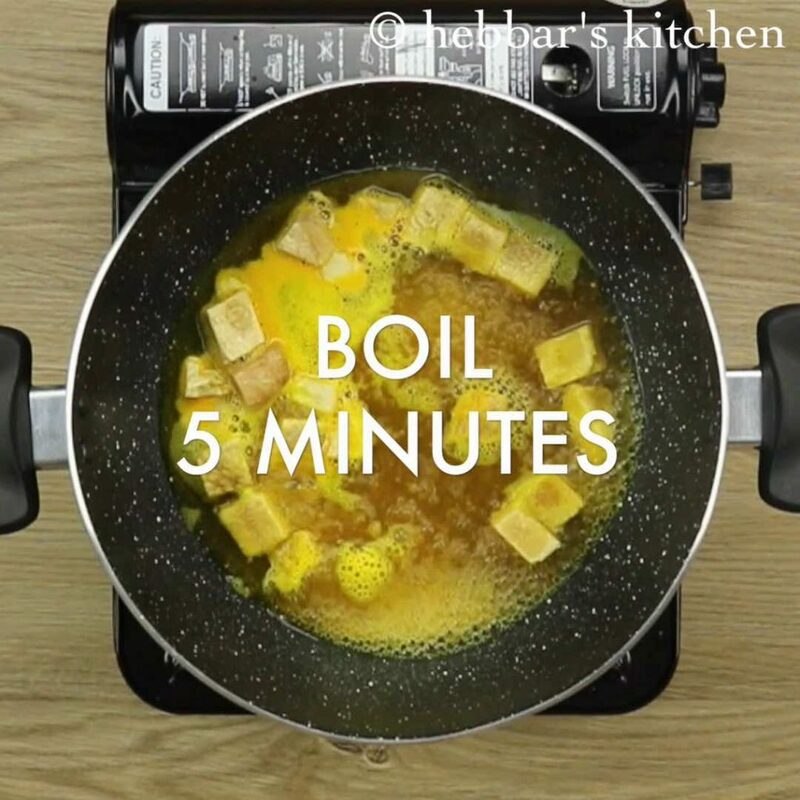 mix well and cover and simmer for 15 minutes. prepare the tempering and pour over prepared ghasi. finally, mix and serve the ghasi along with rice waffers, rotti, poori or with plain steamed rice. 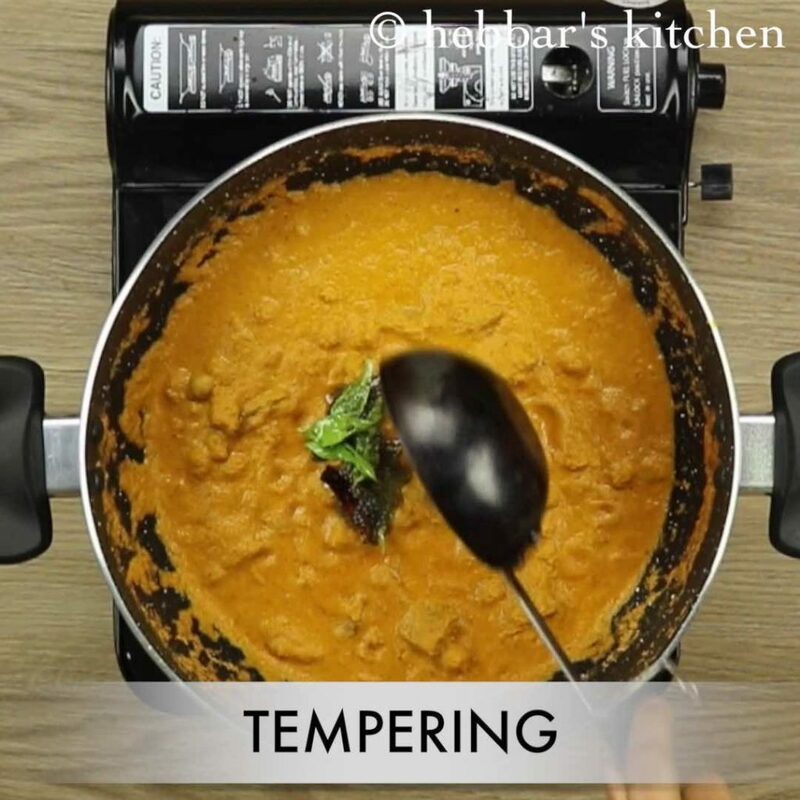 further add 1 tbsp coriander seeds, ½ tsp cumin, 5 methi seeds, ½ tsp black pepper, few curry leaves and 6 kashmiri red chili. 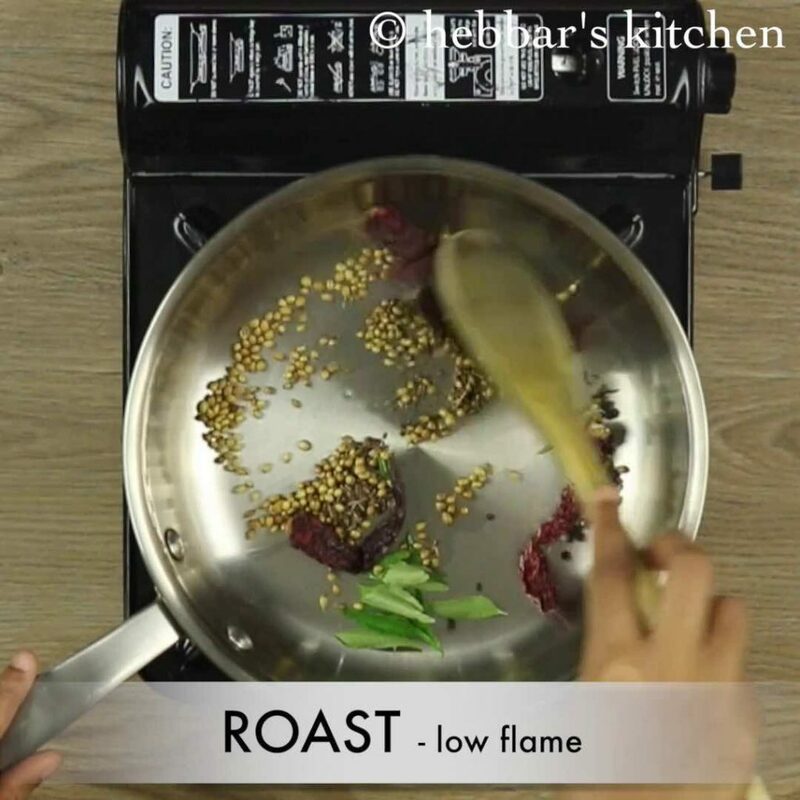 roast on low flame till all spices turn aromatic. also add 1 cup of coconut and continue to roast for a minute. transfer to a small blender and keep aside. saute on low to medium flame till brown spots appear on them. 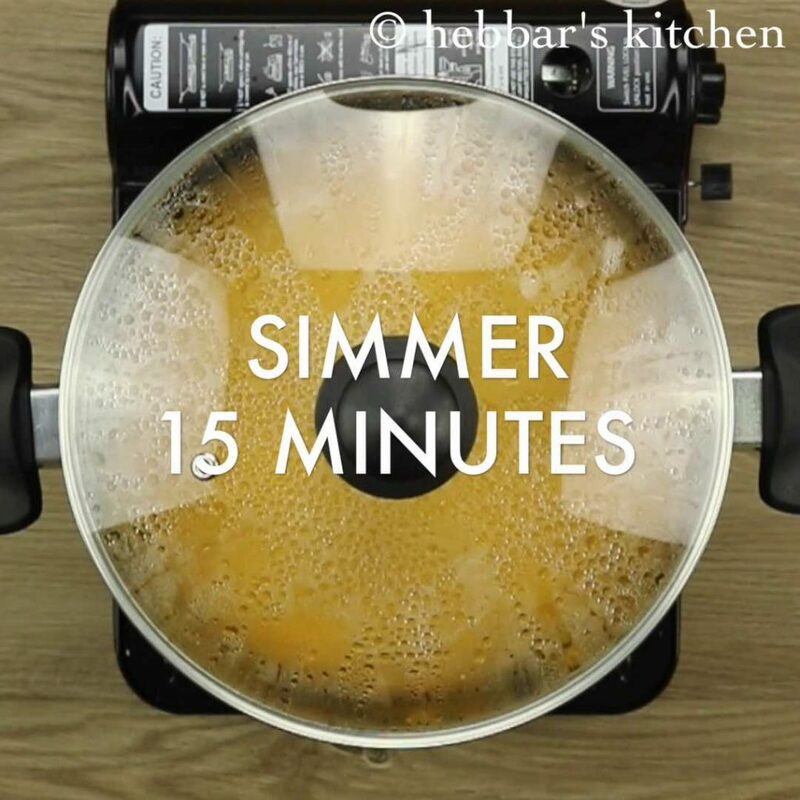 transfer to the same blender and allow to cool completely. 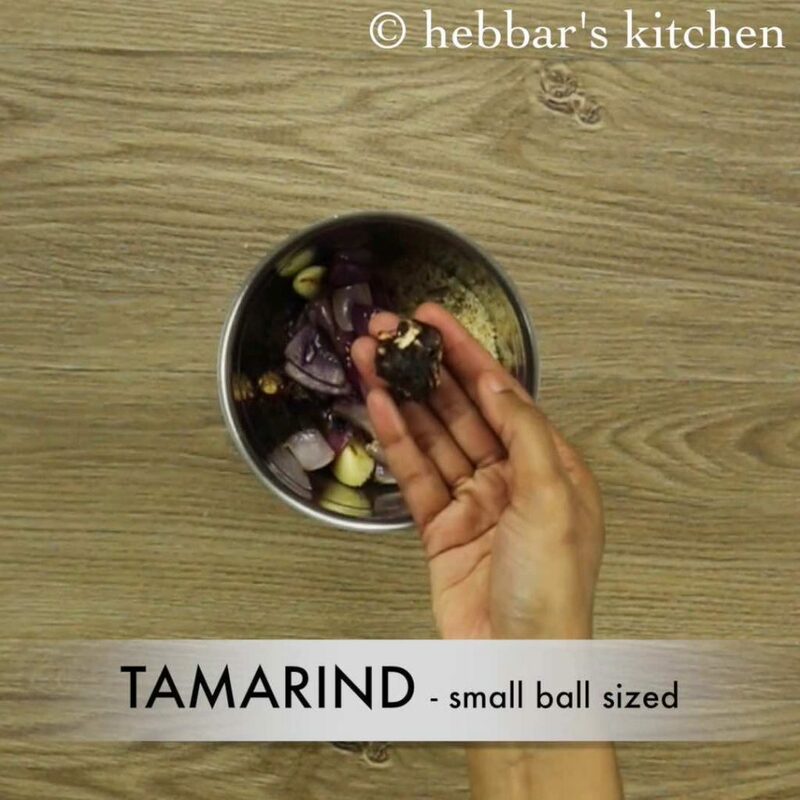 additionally, add small ball sized tamarind. 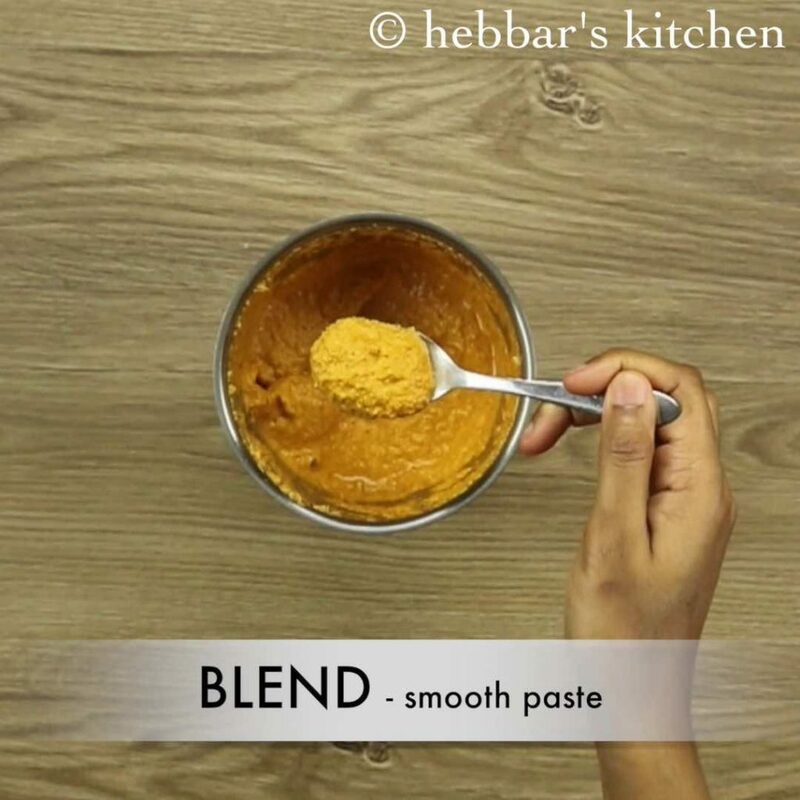 add water as required and blend to smooth paste. keep aside. firstly, in a large kadai take half cup of chopped suran. add water, salt, turmeric and boil for 5 minutes or till suran gets cooked almost. 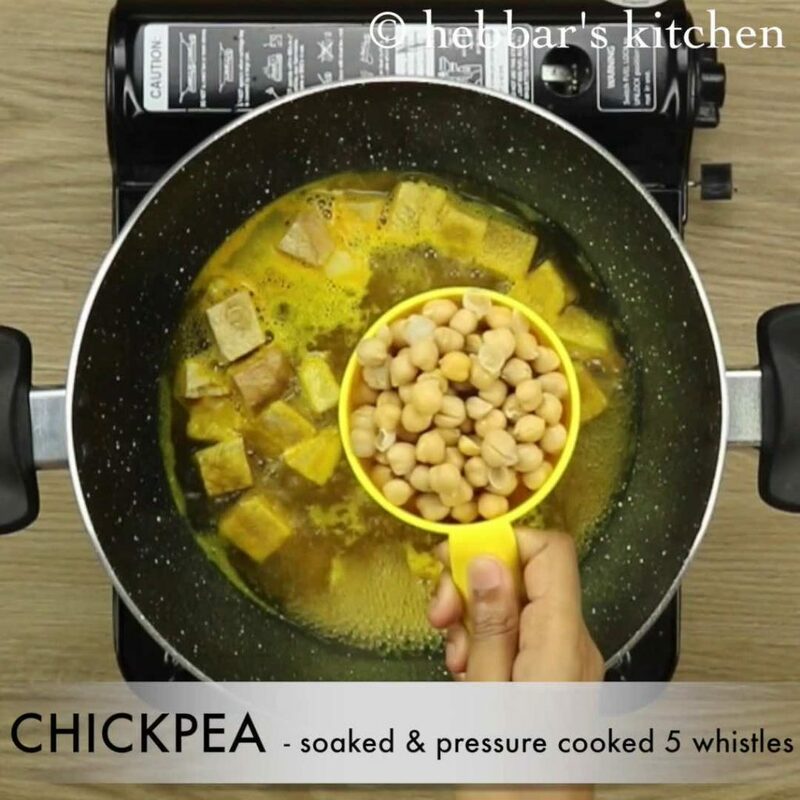 further add 1 cup of chickpea / kabuli chana, soaked overnight & pressure cooked 5 whistles. mix well add water to adjust consistency if required. note, ghasi should be thick and not watery. 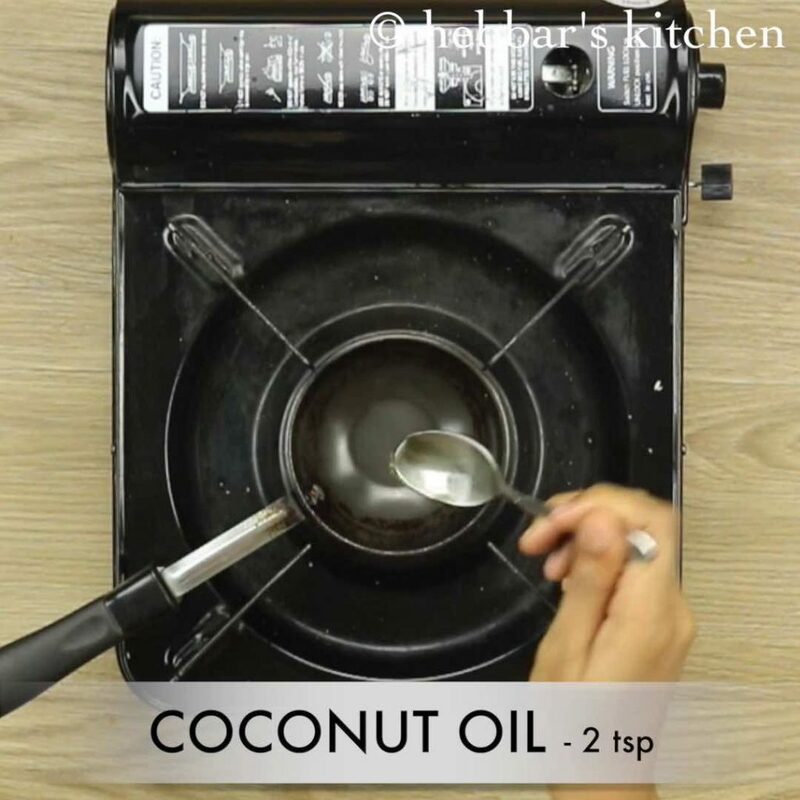 cover and simmer for 15 minutes or till the raw smell of coconut disappears. mix well and check for seasonings. firstly, in a small kadai heat oil. further add mustard seeds, asafoetida, dried red chili and curry leaves. further pour the tempering over prepared ghasi. finally, mix and serve the chana ghashi along with rice waffers, rotti, poori or with plain steamed rice. firstly, the ghasi should be of thick consistency, so always add water as required. further, cook the suran completely before adding masala, as they wont cook once the masala is added. additionally, chane ghashi can also be prepared with just chana and skip yam completely. 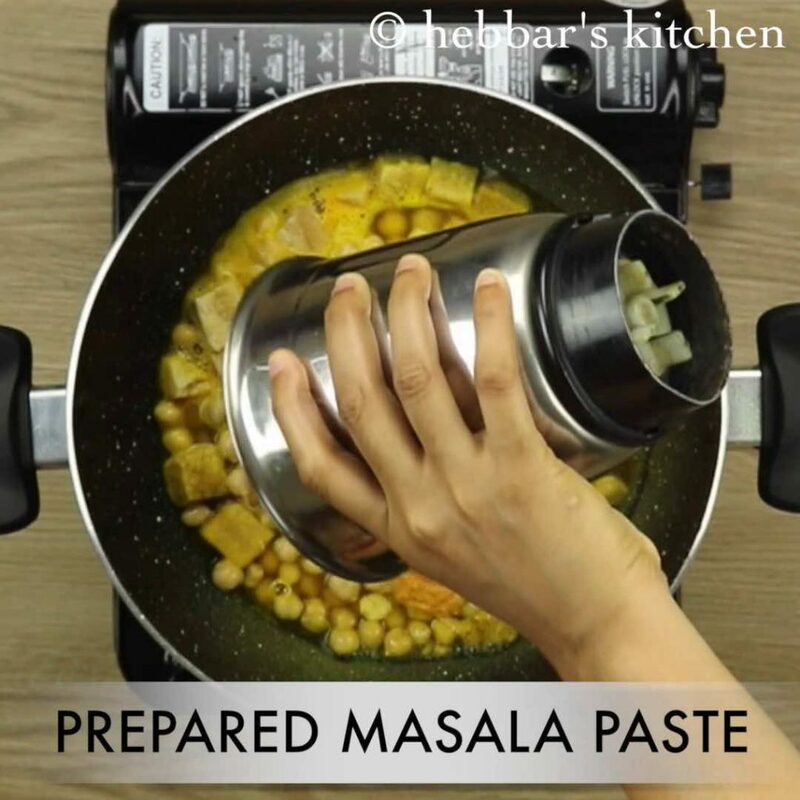 finally, season with coconut oil for more flavours to chana ghashi. 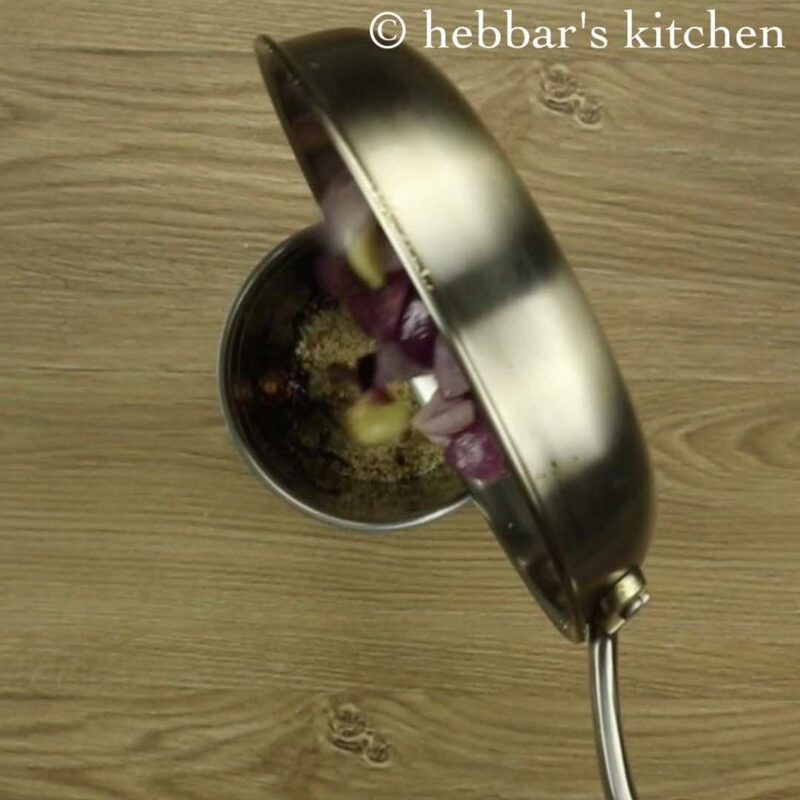 I am a big fan of Hebbar’s kitchen. But in this recipe I totally agree with Priya. 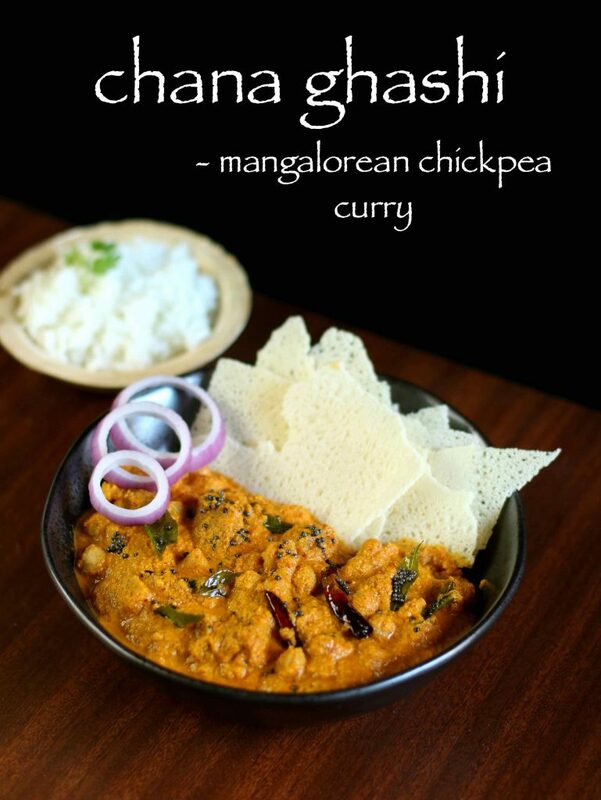 This is definitely not a konkani style chana gashi. In our konkani community we don’t add any spices. Masala is prepared only with coconut, roasted red chillies, and tamarind. Then seasoning with mustard, curry leaves and little fenugreek seeds. Thanks a lot Deepa for bringing this variation to my attention. I will certainly will give a try to this. Hi! I made chana gassi today following your recipe and it turned out super delicious. Thanks!! I tried this with rajma and suran.Excellent.This is the first time I try something from your blog.Huge success. Are you sure Onion and garlic has to be added for gashi masala? Chane gasi is prepared in temple also for festivals its a no onion no garlic recipe. I think the recipe here is a different varient again. Because we do not add onion garlic for any gashi. I never meant to find faults in your recipe or point out at the recipe. Its just that I find big difference in the actual ones I make and variations in the one you mention. 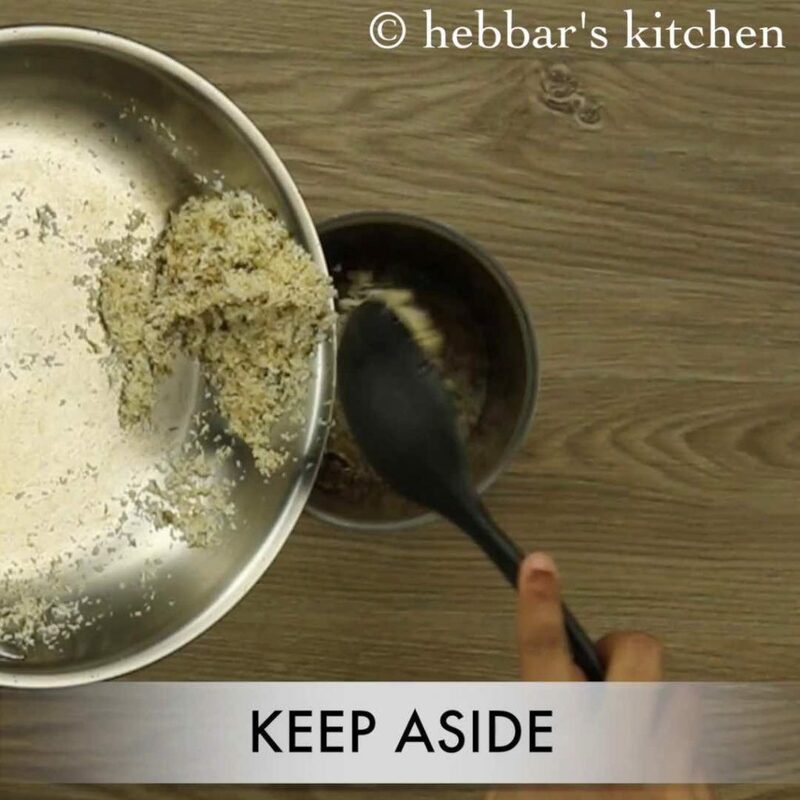 Seeing that its Hebbars kitchen I expect the dishes to be the original udupi/mlore side ones. So just checking why the difference. Please dont feel offended. pls upload recipe of the crispy roti too. sure himashruthi. I will try to post it ASAP. what is the name of that crispy roti u served the dish ?…i have ate tht in my childhood. that is known as rice rotti or akki rotti.